doug: Biking to Douglas College? No problem. Wanna start taking your two-wheeler to the College? It's not as daunting as you might think. 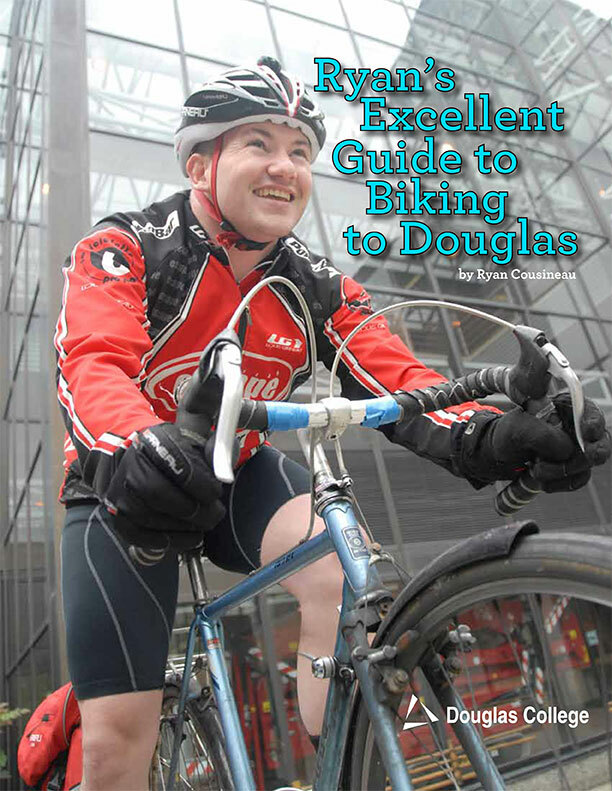 College employee Ryan Cousineau has been doing it for years now, and he's put together a pretty awesome guide that tells you all about routes, equipment, clothing, tools and multi-modal commuting (taking your bike only part way, and then driving or taking transit the rest).